The Mayfield Law Firm hosted its 2011 Annual Charity Ball on Saturday, December 17, 2011, 7pm at the Summit Center, North Gloster Street, Tupelo, MS. Over 250 patrons supported this event. 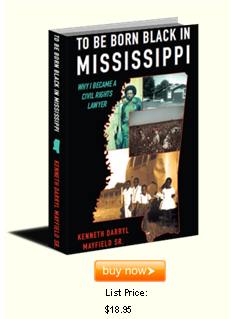 I had a book signing for my first book titled “To Be Born Black in Mississippi. 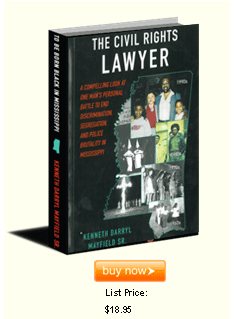 This book can be purchased online at www.kennethmayfield.com. I have completed my autobiography (the young years) titled “To Be Born Black in Mississippi”. It will be published in October. I’m hopeful it will be million dollar seller. I’m proud of you for taking a giant leap of faith and doing what many thought was impossible for you. That’s the way it is with God. You do your part, and HE will do the rest. I pray that you succeed in achieving the desires of your heart. With Love. Your Dad.